A wonderful experience. We decided to have Keystone build our home based on other reviews. We certainly we're not disappoint. The house turned out great and we are the now proud home owners of a beautiful home. We've built three homes in the past, and you guys are FAR AND AWAY the best home builder we have ever had. The craftsmanship and professionalism of your work and employees has surpassed anything we could have imagined, so thanks so much! Keystone builds a fantastic product and my wife and I are thrilled with the final outcome. With any project of this size we experienced a few speed bumps, but the team, especially Scott Bower was there to ensure our needs and concerns were met. We are very pleased with our Keystone Custom Home! Everything went very well from beginning to end. The final product is everything we hoped it would be. I would recommend this builder to anyone. We had a great experience. The team shows great attention to detail. Answered all of our many questions. Was available by phone and email, even in the evening hours. Walked us through the entire process, never felt out of the loop on any part of the build. Would highly recommend! Keystone exceeded our every expectation while building our dream home! We just experienced the most rewarding building experience possible with Keystone Custom Homes. Outstanding service start to finish. Exceptional craftsmanship and attention to detail. Had a Ryan home built and Keystone beats them hands down. Ryan was not even close to Keystone quality. Get yourself a Keystone Home!!! Keystone got us through a difficult transition across state lines and helped when most others would not have. They brought things to an awesome end and got us into our house. The house is beautiful and is built with quality. We feel like we have found a great home. I had a wonderful experience with Keystone Custom Homes! Everyone involved made the process easy and seamless. I loved going to the Design Gallery and designing my home. Our construction manager made the building process less stressful with his consistent communication. I love my Keystone home! We had a great experience with Keystone Custom Homes! Every step of the way we felt that our concerns were addressed and questions thoroughly answered. Everyone we came into contact with who represented the company was professional! Thank you Keystone for helping to make our dreams come true! Thanks Keystone, we love our new home! What a great team we can't say enough. We bought a quick move-in home and can't believe all the great upgrades. We had a great experience! We felt at home as soon as we walked into the house. Friendly and professional sales team. Working with Keystone was the best decision we ever made. Keystone Custom Homes provided an excellent experience! Their staff is very informative, and the quality of the end result is superb! They truly care about their customers, and allowed me to feel comfortable throughout the entire process. Highly recommended! Every Keystone Custom Home is different, because everyone’s dream home is different. When you build with Keystone, you make the choices, so it becomes your dream home. From the My Key Choices program to picking your finishes in our Design Gallery, only Keystone gives you the tools to make your home uniquely yours. Picture yourself in a Brand New Keystone Custom Home. Patrick is a skilled brick-worker. Doing our best work to give others the chance to do theirs. 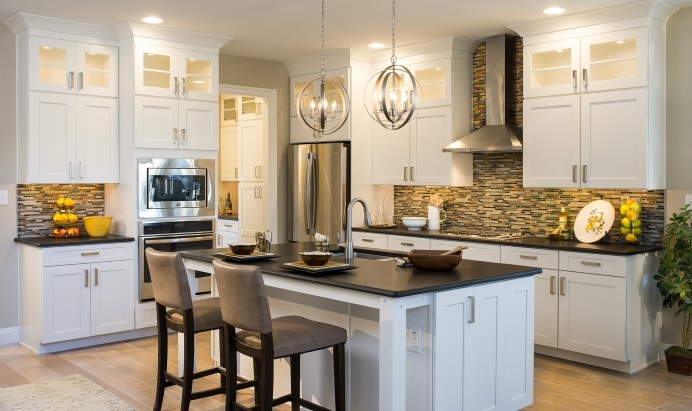 Whether you choose Keystone for our smart design, extensive options, award-winning craftsmanship, or exceptional value, you become a dream builder when you entrust your dream home to Keystone Custom Homes. With every home sold, Keystone Custom Homes invests a portion of our profits in fighting global poverty through Christ-centered microenterprise development with HOPE International. Patrick is a skilled brick-maker, and he works hard at his craft to provide his wife, four young children, and several members of his extended family. But every year, he struggled to make ends meet during the rainy season. Because many of his customers are farmers, for several months, they have very little money for building supplies. The wet conditions also threaten to destroy his inventory of bricks as they dry. But when Patrick joined a savings group through his local church, he gained access to training, encouragement, and a safe place to save. Using a small load from his savings group, Patrick launched a second business selling fish and tomatoes. 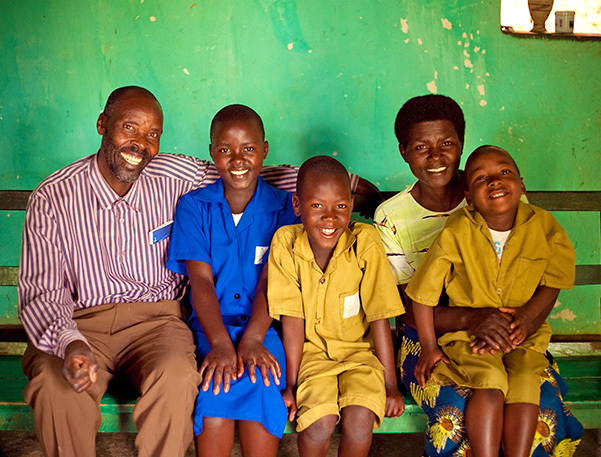 This business has brought much needed stability to his family's income. In just four months, his average savings have more than doubled. He can now also afford to hire others to dry bricks during the rainy season, providing jobs to members of his community. Patrick has also greatly benefited from hearing the Word of God at his savings group and spending more time with his fellow church members at their group meetings. He says his relationship with God is improving day by day. To date, we’ve invested nearly $3 million in the dreams of aspiring entrepreneurs around the world. And, we’ve seen them flourish as they’re freed from poverty and empowered to invest in what matters to them: from education for their children to safe housing, improved nutrition, or their own charitable giving. Nothing feels better than doing what we do best to do good.